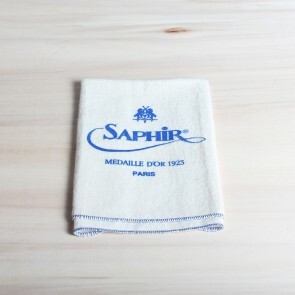 Saphir Médaille d'Or Lotion, 125ml. 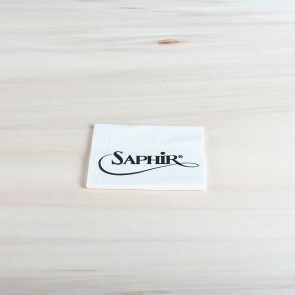 We advise to use Saphir Lotion as a first step in the treatment of your smooth leather shoes, when you're not giving them a deep cleaning such as with Renomat. 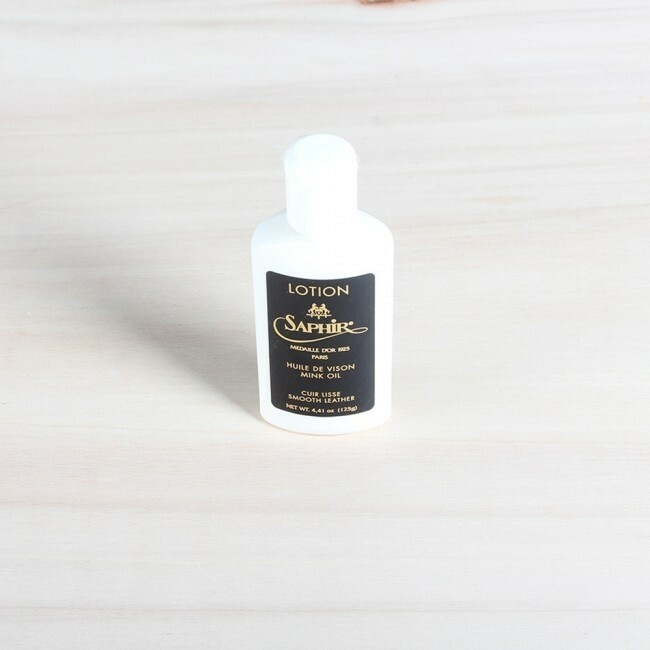 This lotion, including ingredients such as bees wax and ultra nourishing mink oil, cleans, nourishes and protects all of your leather products. Apply by using a cotton cloth and let dry until the Lotion looks dry and mat. 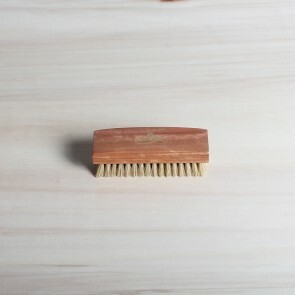 Brush with a horsehair brush and a soft shine will appear on your shoes. 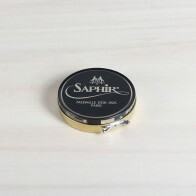 Continue your treatment by using Saphir Pommadier, Pate de Luxe en Mirror Gloss. 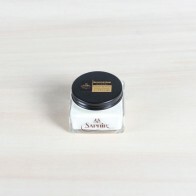 The lotion is essentially a light-version of the Saphir Renovateur and gives a soft shine. Having this characteristics, it's next to treating shoes, perfect for nourishing leather bags, jackets, but also larger leather items such as furniture and car interior. Don't know which to pick? We often explain the difference between the two by explaining how you would use them. 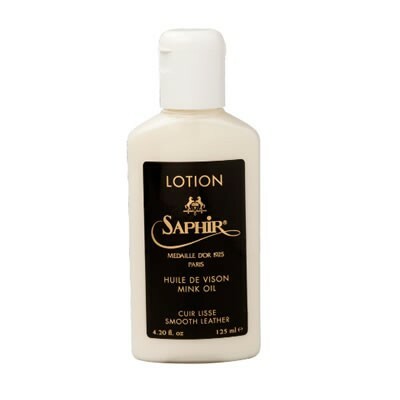 Saphir Lotion is a great multipurpose cleaner and conditioner for everyday use. 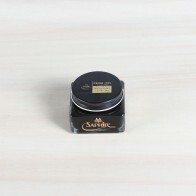 The Lotion is less rich in oils and waxes and therefore you can use it more often than Saphir Renovateur. Lotion is also better suited to treat larger surfaces of leather than Renovateur is. 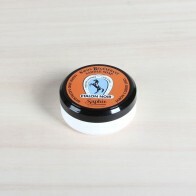 So besides shoes Lotion is also great for treating furniture, car interiors, leather bags and leather jackets. Renovateur on the other hand is richer in nourishing ingrediënts than Lotion. 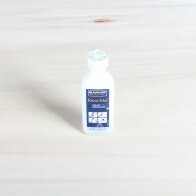 You want to use Renovateur once a week at a maximum to prevent oversaturating the leather with oils. Are you looking for the best conditioning for your shoes? Then pick Renovateur. If you are looking for a more practical multipurpose conditioner then pick Lotion.